Linc lives a low-key life, a pleasant change of pace from his last job of working as a remote viewer for the federal government. He owns a bookstore and even teaches the occasional psychic class. Someone mysterious is out to get him. Tormenting him to the point he wants to commit suicide. His last wife believes he was involved with a murder of a cop. Since she's an attorney she is doing everything in her power to get him. Luckily for Linc a young police woman is investigating the case and will help clear his name. She risks her life to do it but is determined to find the truth. This book is fiction and inspired by true events. Based in part on Al Collier's life. Luke’s Quest is a new series of books dealing with so many issues that some people think it is based on real people and their actual lives. It is the story of Luke Bradley and his quest for truth about history, himself and spirituality. In Prisoner of Time, the first in the series, he discovers a clandestine government operation that has developed time travel devices. Luke finds the woman who has haunted his dreams since he was a teenager and falls passionately in love with her. The drawbacks are that she is married and may be trying to kill him or have him killed. As Luke faces death, he turns to his love of history to save his life. To his dismay and discomfort, the cost of his restored health is to become a shaman. (This part of the story begins in Time to Learn.) The more he learns about shamanism, the more he questions his current spiritual path. Yet each day seems to bring more challenges, deadly decisions and more self-doubt and recriminations. K.C. and Al Collier are a unique writing team. Al experienced severe epileptic seizures and “blackouts.” During these blackouts, he saw visions or mental movies, which he later described to Karen, who then converted these stories into novels. Karen translates and weaves his ramblings into a magical tale. Prior to the onset of the seizures, Al worked in both print and broadcast journalism as well as being a paranormal investigator. K.C. and Al share a love of history, especially of the ancient Americans, and genealogy. A very compelling read! Held my attention! The twists are what make the (page) turns that much more the exciting! Being that i don't get into spoilers let me just say this... from the start the journey is never a dull one and at the end your left satisfied but wanting more! Outstanding read! This book gave me a love story and mystery, with just the right amount of suspense thrown in. It is a compelling read. I would recommend it to people who enjoy love stories and/or mysteries, or to those who have ever wondered about the psychic world. Very entertaining. Great read. Great story, couldn't stop until I read the whole book. Mystery, Intrege through out holds your attention wanting more with each page. Makes me want to read the other books written by this great team of KC and Al Collier. Great excitement and adventure. Loved it. I purchased this e-book because I love good reads about psychics and know of the author. I wasn't disappointed. I literally couldn't put the book down. It captivated me from the start. I will definitely check out the time traveler books by this couple! Sometimes there's a fine line between reality and unreality. 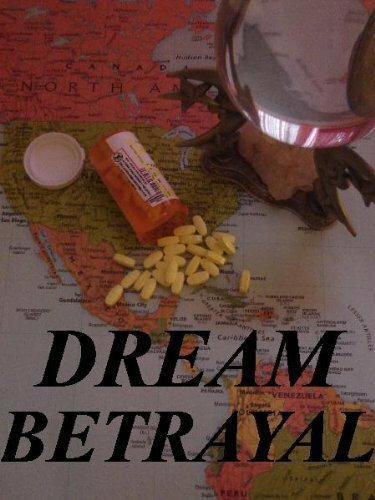 "Dream Betrayal" takes readers there and leaves them wondering how much of our world is real and how much is a distorted view manipulated and controlled by those with impure motives. It is encouraging to see that some people have the ability and the courage to look beneath the surface to reclaim the truth. While psychic exploration forms the backdrop for this story, it is really about love, friendship and the search for truth. I rate it 4 stars rather than 5 because the mood is a little dark for my romantic taste. Nevertheless, the story is compelling. This story relates back in history to the Indian tribes along the Mississippi River. A wonderful story of life along the river and with the mingling of tribes and on truth and deception... Excellent story line of the intertwined of each culture. Extremely enjoyable read. Grabs your attention in chapter one and doesn't let go. A love story with Native American folklore. Kept my interest the entire story. Sorry to have it end, but know it couldn't have gone on forever. Left me wanting more stories. I liked Hawk Shaman the best out of all the books in the series - The plot was well thought out and keeps ones attention to the very last. 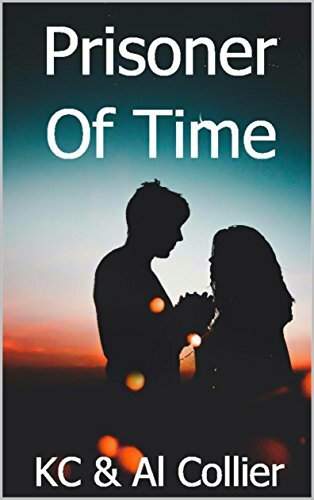 If you read Prisoner of Time... You need to read this one! Started slow and rather elementary. But after really getting into the story, one understands the theory behind the style. I gave it four stars because once the plot was solved, it continued into several others. I know this is part of a series and perhaps the secondary plots its could have been in a second book. I did enjoy the time travel historical events. I was a captive of this read. Being from Arkansas, I knew some of the towns and places listed and could really see them in my mind. The story plot is well thought out and the true possibility of this being a somewhat true story, you will wondering by the end of the book. The author did great in keeping the suspense and questions in your mind as you read thru it. I encourage everyone to enjoy this book as I did. From beginning to end, this is a book that moves. The main character is well developed and his moral dilemmas are challenging. The reader is seeing the scenario through Luke's eyes. Hot romance and strong loyalties are mixed with questions about the motives of others. Excellent writing. Great story idea with unexpected twists and turns. Could easily see this made into a movie. Only reason it got four stars instead of five was due to editing issues. I dont normally write many reviews, but I just had to here. This is a great story that flows very naturally and before you know it, you are swept backwards in time yourself! The authors have done a great job of weaving everyday reality and the science (fiction?) of time travel into a believable and enthralling tale with enjoyable characters and rich storytelling. So many time travel stories rely on entangled, complex paradoxes that seem contrived and are painful for the reader to unknot, but not so here. Prisoner of Time is an enjoyable read that you will want to put in your re-read rotation. I like books that reveal the inherent goodness in people, and "Prisoner of Time" does. It also offers a look at various places in Arkansas, and I enjoyed locating most of them on a map. The authors' love and respect for Native American cultures is obvious and satisfying. Plus the "what ifs" of time travel are thought provoking. The authors are good at story telling, developing tension, resolving some issues, raising some questions for readers to decide and leaving others matters open ended for subjects of future books. Luke's Quest was the first book I have ever read in literally one sitting. I could not put the book down. It kept me enthralled in the what-if's and the could it be's all the way through. The book takes on a travel to real places in Arkansas and draws an excellent picture of the small towns involved in a government conspiracy theory that will leave the reader wondering if it is fact or fiction. I found this book to be not only entertaining, but also very insightful. Although it is set to a science fiction back ground it stays well within the range of "believable" technology. It also bears a hint of esoteric knowledge that could only be written by an expert. This book reads quickly and leaves one with a sense of enlightenment. Highly recommended. 5 Stars! A fast paced read. Takes you from a small town to back to the past. Has suspense, mystery, true friendship, and a love story. It kept me interested throughout. Loved this story. Tia and her brother are expected to abandon their village to locate their father’s long-lost pal, TaTisho. While they near the village of TaLequa, they're stuck on a dangerous isle where they could die. 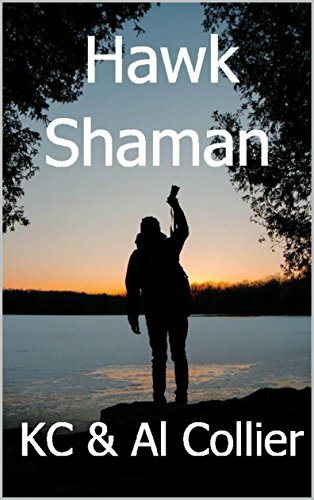 A man, Ky, attempts to be the next shaman to the small village but risks a lifetime of secrets and betrayal. He attempts to reach out and help Tia and her brother. In order to be a shaman, he needs a wife. However, when he returns to the village he finds that another is seeking Tia's hand. Yet, a third contender for being the next shaman makes it clear he is willing to kill both Ky and Tia if needed. 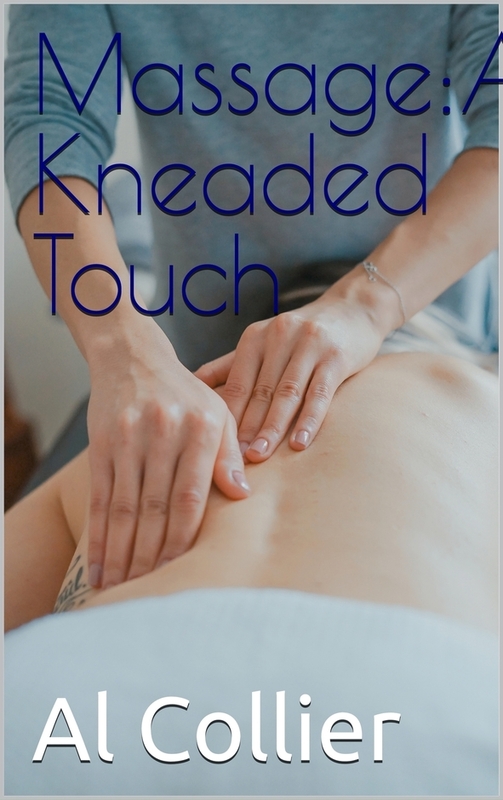 Massage: A Kneaded Touch is a basic massage handbook. For more than 10 years it was used as a textbook for Al Collier’s classes at local hospitals, schools and workshops. It contains the basic massage strokes as all such books do, however he also includes stretching, oils, herbs and marketing. It is a simple, easy to follow guide for the home therapist to use as well as those already massage therapist to enjoy.